The pectoral region is located on the anterior chest wall. It contains four muscles that exert a force on the upper limb; the pectoralis major, pectoralis minor, serratus anterior and subclavius. 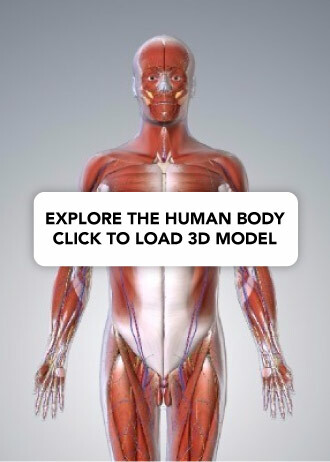 In this article, we shall look at the anatomy of the muscles of the pectoral region – their attachments, actions and innervation. Attachments: The distal attachment of both heads is into the intertubercular sulcus of the humerus. Clavicular head – originates from the anterior surface of the medial clavicle. Sternocostal head – originates from the anterior surface of the sternum, the superior six costal cartilages and the aponeurosis of the external oblique muscle. Function: Adducts and medially rotates the upper limb, and draws the scapula anteroinferiorly. The clavicular head also acts individually to flex the upper limb. Innervation: Lateral and medial pectoral nerves. Fig 1 – The sternal and clavicular heads of the pectoralis major. The pectoralis minor lies underneath its larger counterpart muscle, pectoralis major. Both of these muscles form part of the anterior wall of the axilla region. Attachments: Originates from the 3rd-5th ribs, and inserts into the coracoid process of the scapula. Function: Stabilises the scapula by drawing it anteroinferiorly against the thoracic wall. The serratus anterior is located more laterally in the chest wall, and forms the medial border of the axilla region. 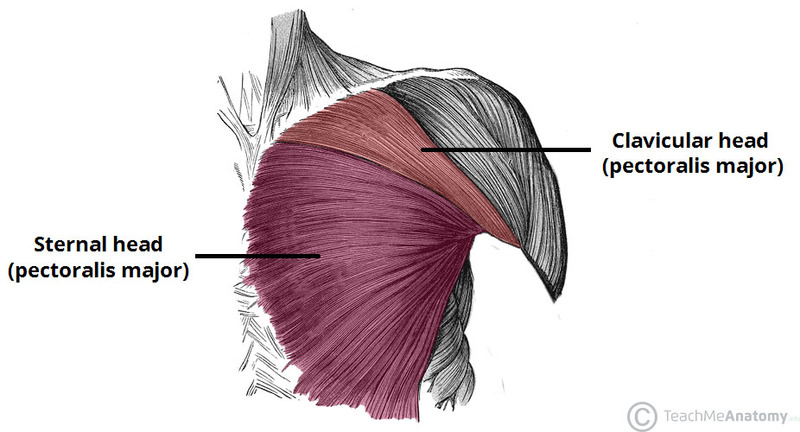 Attachments: The muscle consists of several strips, which originate from the lateral aspects of ribs 1-8. They attach to the costal (rib facing) surface of the medial border of the scapula. Function: Rotates the scapula, allowing the arm to be raised over 90 degrees. It also holds the scapula against the ribcage. 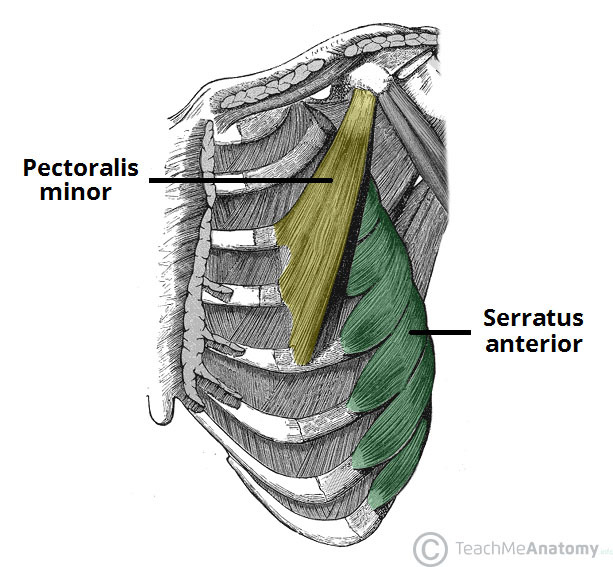 Fig 2 – The serratus anterior and pectoralis minor muscles. The subclavius is small muscle, which is located directly underneath the clavicle, running horizontally. It affords some minor protection to the underlying neurovascular structures (e.g in cases of clavicular fracture or other trauma). Attachments: Originates from the junction of the 1st rib and its costal cartilage, inserting into the inferior surface of the middle third of the clavicle. Function: Anchors and depresses the clavicle. One of the actions of the serratus anterior is to ‘hold’ the scapula against the ribcage. If the long thoracic nerve is damaged (and the serratus anterior therefore paralysed), a specific clinical sign is produced. In cases such as this, the scapula is no longer held against the ribcage – and protrudes out of the back. It is said to have a ‘winged’ appearance. Long thoracic nerve palsy is thought to most commonly occur from traction injuries, where the upper limb is stretched violently. Where is pectoralis minor located in comparison to pectoralis major? What is the innervation of pectoralis major? What is the isolated action of the clavicular head of the pectoralis major?